At Brick Lane Curry House in New York City, you can try one of the spiciest curries in the world. . In this New York City eatery, you can eat curry that's made with some of the hottest peppers in the world. A salad with a kick, Thailand's som tum salad that is commonly made from papayas and spicy peppers. 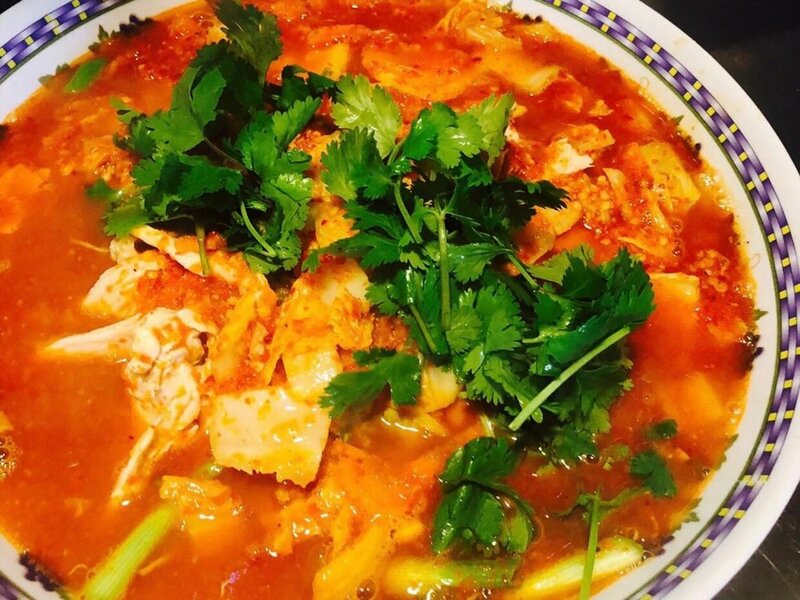 China is home to one of the world's spiciest hotpot varieties. Chongqing, China, is sometimes referred to as the "Hotpot City" so it's no surprise that it's one of the most popular places to find a Sichuan Hotpot — which has been called the spiciest hotpot in China. People from around the world visit Chongqing, China, to try this dish, which is a simmering soup that typically contains garlic, oil, red chiles, and Sichuan peppercorns.